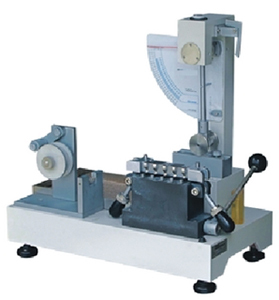 The Scott Internal Bond Impact Tester is used to determine tear resistance (Elmendorf). A sample is torn with the help of the pendulum device starting from a predetermined cut. The work required for a tear of a given length is measured.